Starting a business in Qatar will be a profitable venture provided that you understand the Qatari business environment, have a solid business plan to succeed in the country while leveraging the benefits offered by the government for foreign investors. 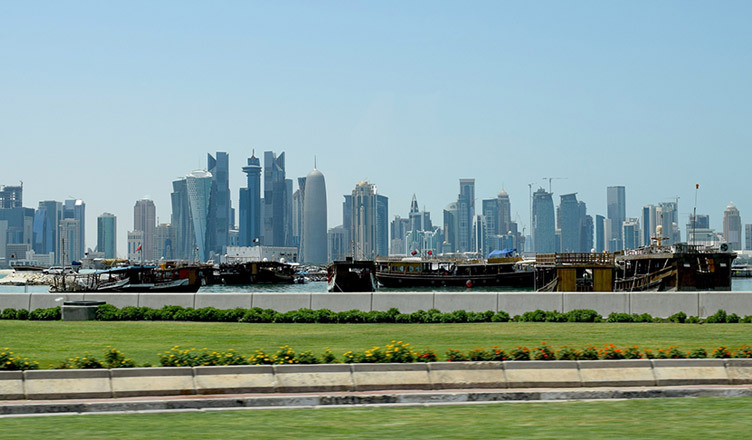 Qatar’s economy in 2019 is experiencing steady growth despite the continuing economic blockade, as the country is moving towards the path of self-sufficiency and economic development under the leadership of His Highness Sheikh Tamim bin Hamad Al Thani. The state is consistent in improving its infrastructure making life easier for industries, companies and encourages foreign direct investment into the country through a set of laws that allows non-Qatari citizens to invest, own or register a business in Qatar. To encourage foreign direct investment in the country, the government has revised the rules & regulations set by Law No 12 of 2000, by issuing Law Number 1 of 2010 on the 1st of Feb 2010 authorising the non-Qatari investment into the country and allowing 100 percent foreign ownership for businesses operating in Qatar. The foreign investment in Qatar and complete business ownership by non-Qataris was permitted to new industries including Information Technology (IT), consultancy services, services associated with entertainment, sports, culture, and distribution. In addition to this, the Commercial Companies law that came into effect since 2015 has eased out restrictions and permitted hundred percent foreign ownership in Qatar for the first time in major business sectors including agriculture, manufacturing, health, education and tourism. More importantly, the business opportunities in Qatar for foreign companies are expanding further as the state is diversifying the economy and the rules are made business-friendly along with lower taxes rates. The law supports the business operations in the country by providing them with various incentives and gives investors the freedom to repatriate all the capital profits gained from their Qatar business to their country of origin without any taxes. If you want to know more information about starting a business in Qatar contact us our Qatar team would be happy to help you with any information. Our BSW team is expert with the Qatari laws, procedures, and legislation for incorporating your business in Qatar and assist you in running a successful company. Qatar was formed from a loose association of tribal groupsprimarily engaged in pearl harvesting and fishing. This came to an end in the 1930s when thepearl market collapsed. In 1935, the establishment of Qatar General Petroleum Corporation took place, signalling the end to one phase of Qatar’s history and thebeginning of the next. Currently, the State of Qatar is headed by the Emir His Highness Sheikh Tamim bin Hamad Al Thani with Abdullah bin Nasser bin Khalifa Al Thani as the Prime Minister, Arabic is the official language besides English is widely used and preferred within business circles.The state has excellent infrastructure, robust financial sector and effective government policies to protect and guide the citizens, residents and businesses of Qatar to success even in hard times. Dealing with Qatari people in business one can expect a strong focus on the Arabic business etiquette even though most of the people working in Qatar are expatriates they are accustomed to the region’s culture and customs. The Qatari people place great importance on getting to know their business contacts personally and make an effort to develop a relationship with them. As the business and personal lives are closely intertwined in the Arabic culture. The state of Qatar follows an independent international policy and enjoys diplomatic relations with all the major countries in the world. Qatar is a strategic trade partner to the People's Republic of China, and the relationship between the two countries growing stronger despite several issues. The Qatari people have shown their resilience even in the times of illegal blockade, where the close neighbours weren't on good terms with them. They firmly believe in the fruits of hard work, independent decision-making and effective management of the country’s resources, with strength in solidarity under the Emir of Qatar. These real-life examples show the true spirit of the Qatari people who are enterprising, generous and honest by virtue.